Do You Have Too Much Cash On Hand? Are you holding too much cash? 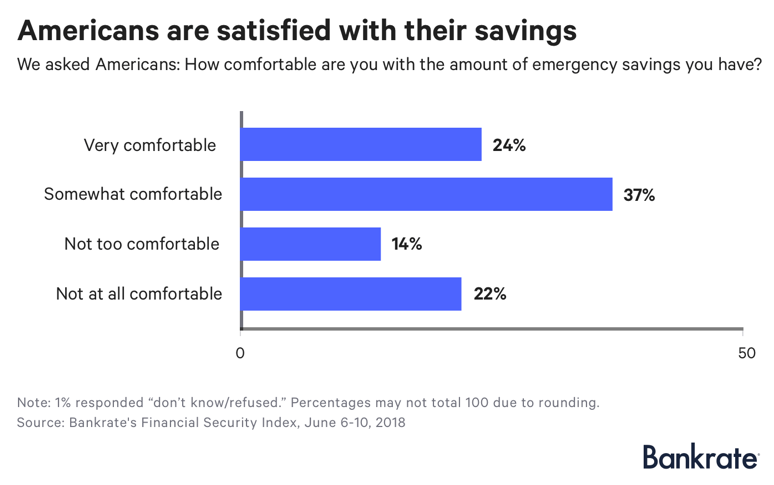 With the current uncertain financial times, it is not surprising that many Americans are finding their cash comfort level is rising. A 2018 financial survey by NerdWallet found that while many Americans have no savings at all, American adults keep $32,000 in cash on average. Professionals warn that keeping too much cash on handcould negatively affect your retirement, by causing you to accumulate substantially less than you would have earned by investing wisely. The NerdWallet survey revealed a correlation between age, income, and cash holdings. Older generations tend to have higher incomes and significantly larger cash holdings. 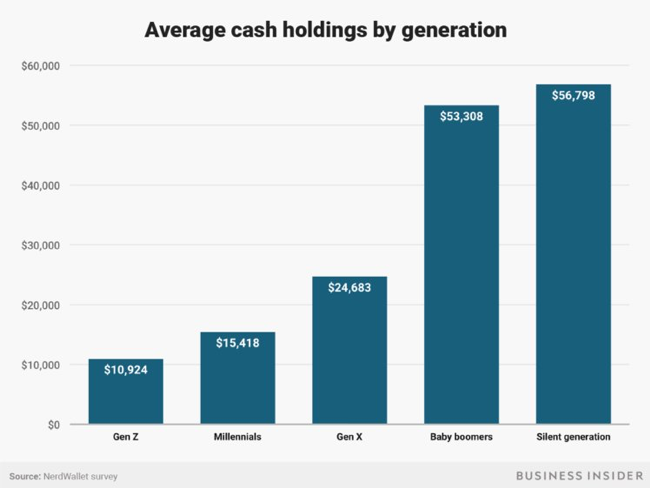 The Silent Generation and Baby Boomers lead with more than $50,000 in average cash holdings, followed by Gen X’ers with nearly $25,000. Millennials averaged around $15,000 in cash while members of Gen Z hold just over $10,000 in cash on average. 62% of Americans are satisfied with their savings, according to a study by Bankrate, even though only 29% have the amount recommended by financial professionals. Ideally, individuals should only keep enough cash on hand for monthly bills, a discretionary fund (for dining out, charitable giving, and other optional purchases), and an emergency fund. The amount of cash needed for an emergency fund is generally figured as months of living expenses rather than a dollar amount. Three to six months’ expenses is the amount recommended for a healthy, single individual. Dual-income couples with dependents should plan on a minimum of six to nine months, while retirees, single-income families, and those with health problems are advised to hold on to eight to twelve months’ worth of cash. Why are some Americans sitting on their cash? 39 percent of Americans aren’t investing their money, preferring instead to hold cash. 32 percent prefer holding cash because it is easier to access their money. 28 percent believe that investing is too risky, and another 28 percent hold onto cash because they don’t know how to invest. 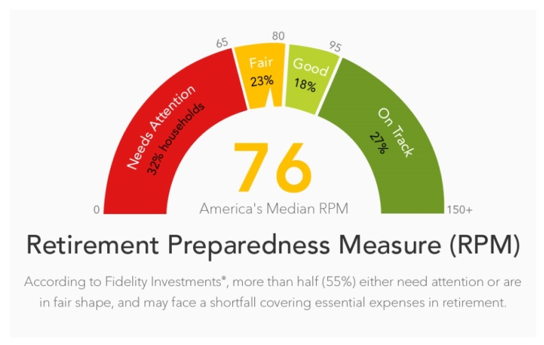 Fidelity Investments reports that more than half of Americans may not have enough funds to cover basic needs in retirement. Knowing when to invest and when to save can make the necessary difference in your long-term financial well-being. Saving money is a good strategy for smaller, short-term goals, such as paying for a large purchase or creating an emergency fund. It allows easy access to your cash and comes with a minimal risk, but the cost of this convenience is a much smaller return than you can gain by investing the funds. Investing is the better choice for long-term goals, such as retirement funds or paying for a child’s college tuition. You lose easy access and take on more risk by investing your money, but the earning potential is significantly greater. NerdWallet reports that average annual long-term returns for the stock market range from 6% to 10%. In comparison, most saving accounts currently earn between 1% and 2% interest. Over 30 years, every $10,000 kept in cash instead of investing amounts to approximately $44,000 in lost returns. When you consider how much money you could be missing when you retire, the difference between saving and investing is significant. Millennials who keep their money in traditional savings accounts instead of investing could potentially have $3.3 million less in funds once they reach retirement age. If you are concerned you have too much cash on hand, or would like some help figuring out how and when to invest, reach out to financial planner Matt Logan at www.MattLoganInc.com We can take a look at your portfolio and help you find the ideal mix of savings and investments to meet your financial goals.